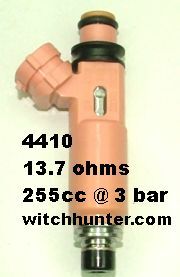 This data was obtained from actual flow bench testing at our shop and should be used as a guide only. 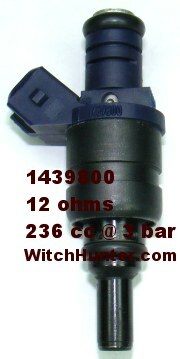 WitchHunter Performance shall not be held responsible for any errors. 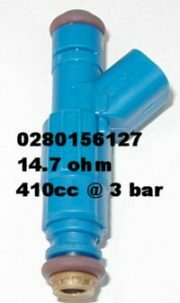 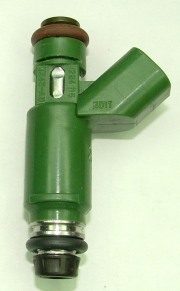 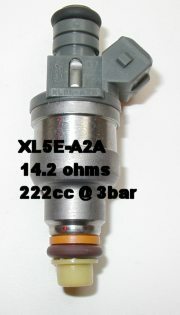 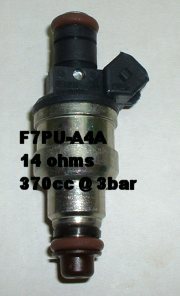 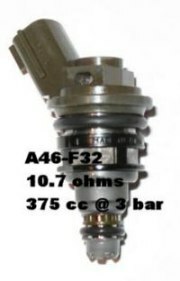 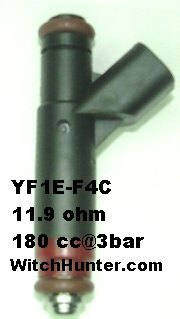 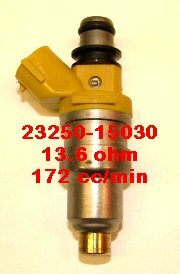 All flow tests were performed at 43.5 psi (3 bar), for an accurate comparison between the injectors. 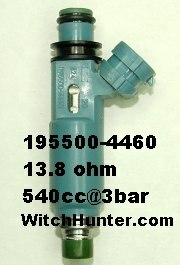 In some cases the readings are an average of many tested injectors. 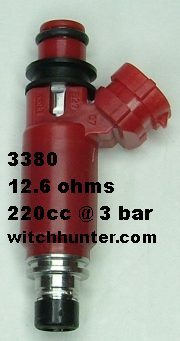 This data may not match the other published data. 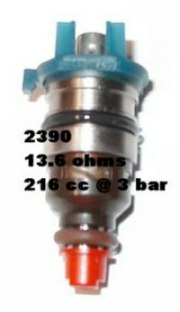 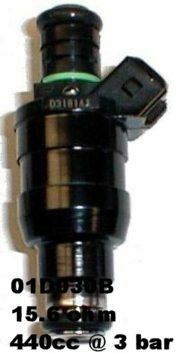 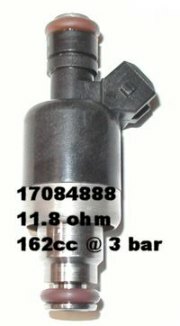 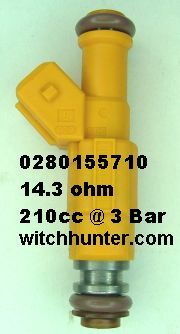 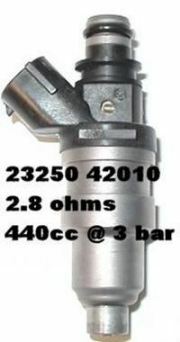 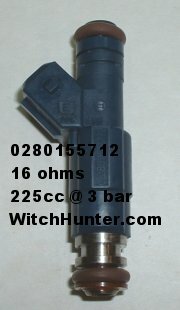 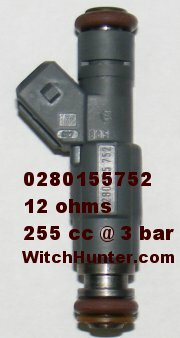 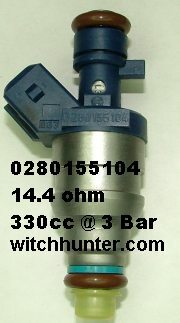 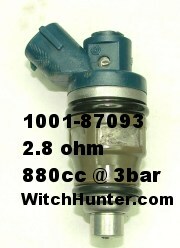 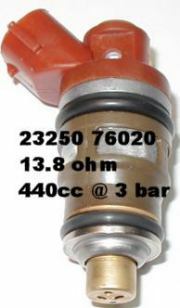 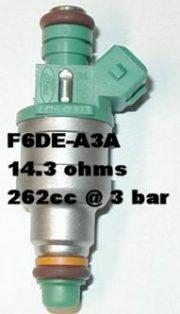 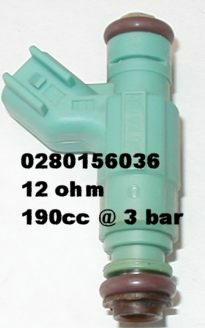 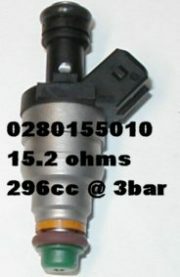 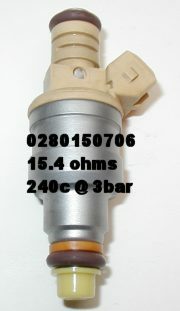 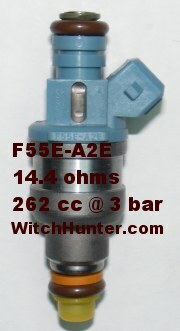 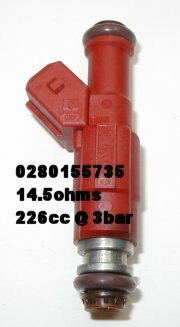 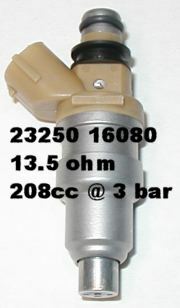 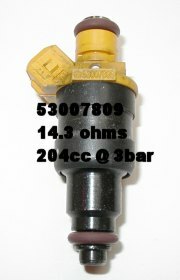 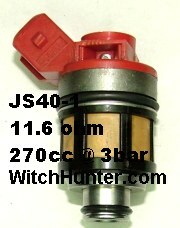 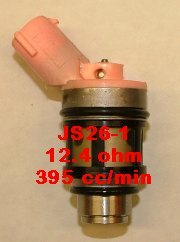 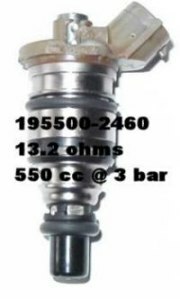 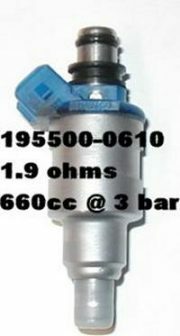 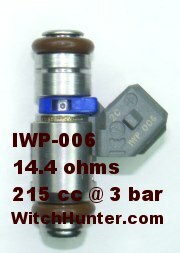 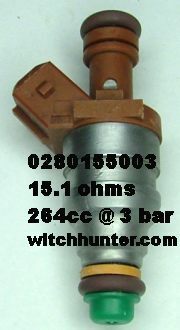 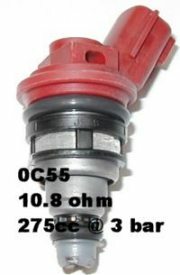 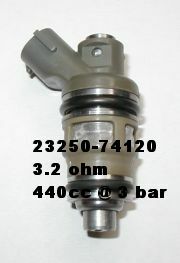 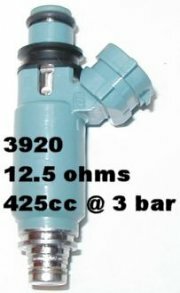 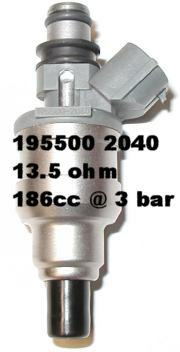 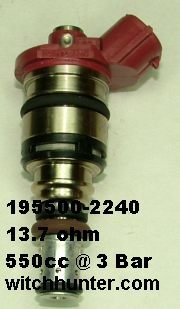 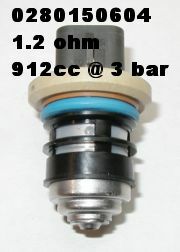 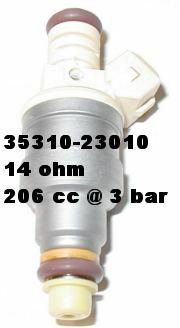 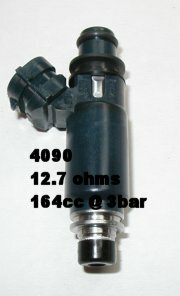 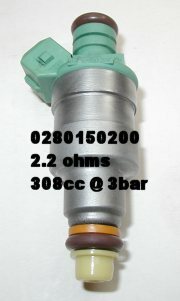 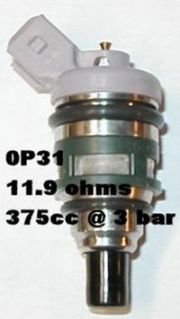 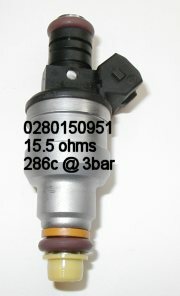 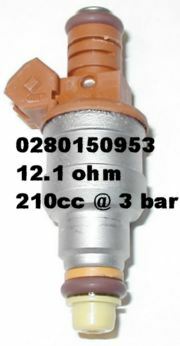 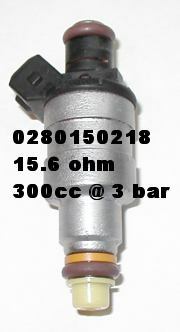 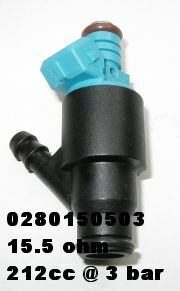 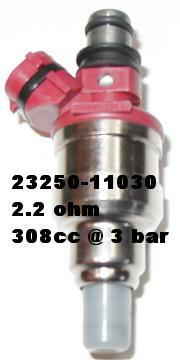 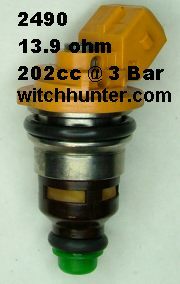 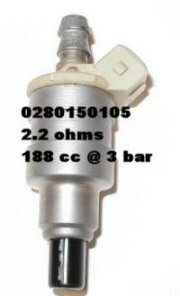 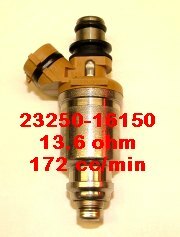 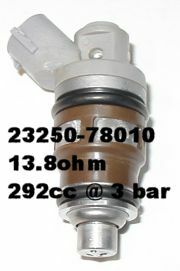 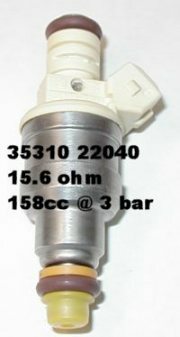 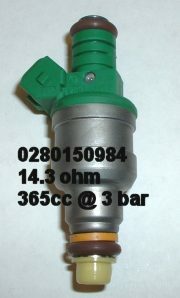 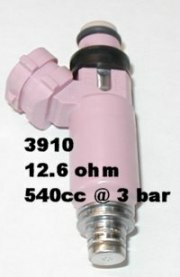 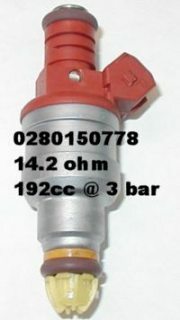 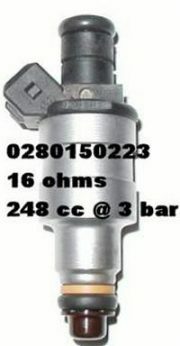 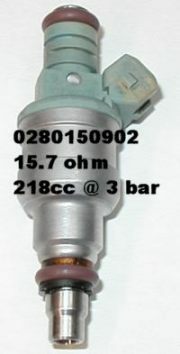 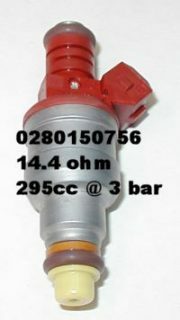 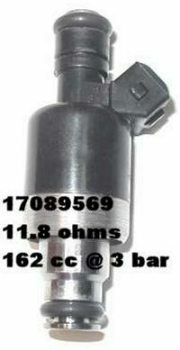 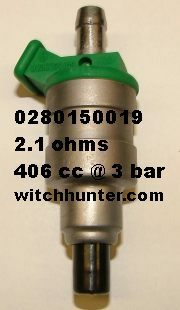 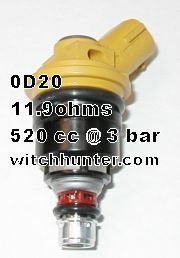 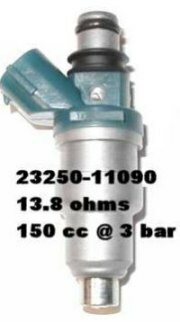 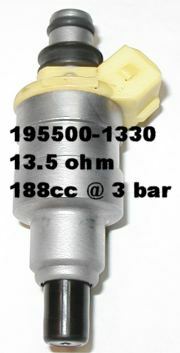 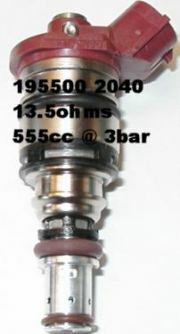 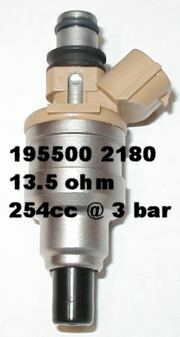 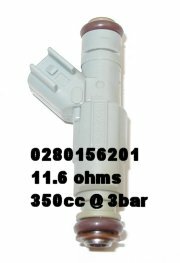 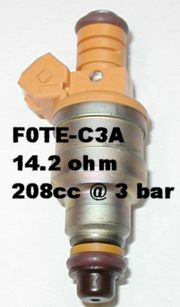 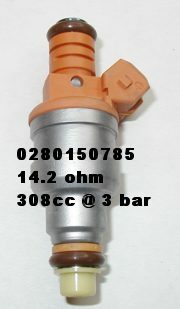 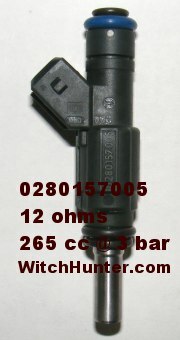 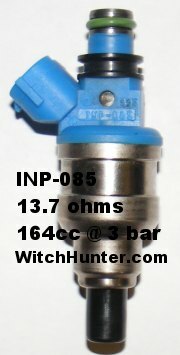 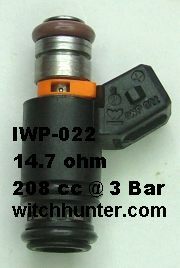 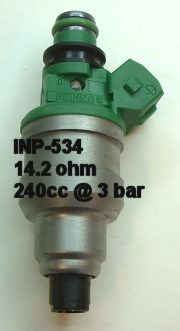 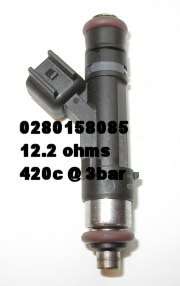 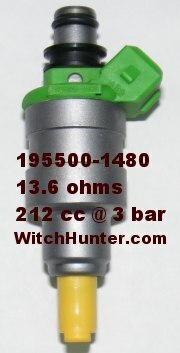 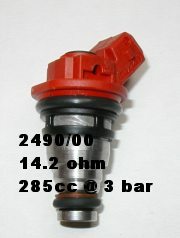 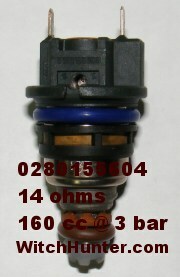 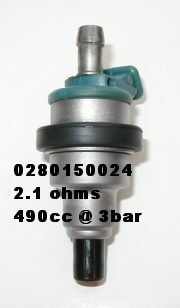 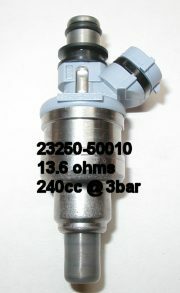 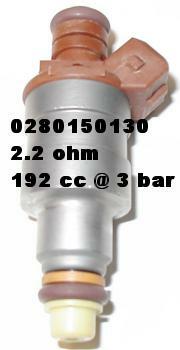 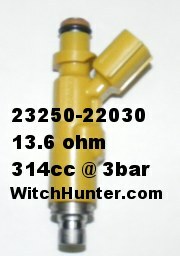 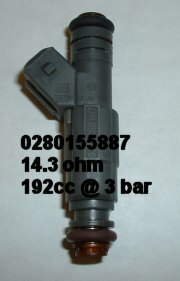 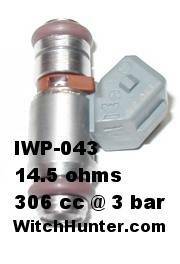 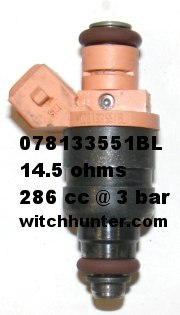 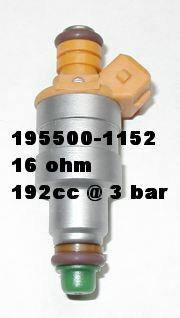 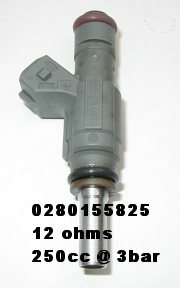 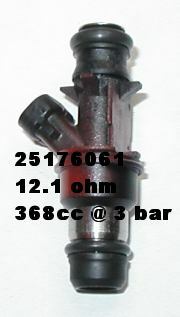 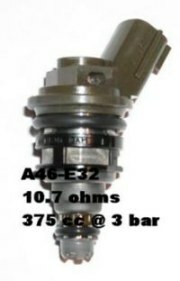 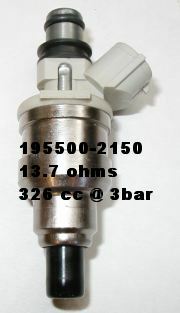 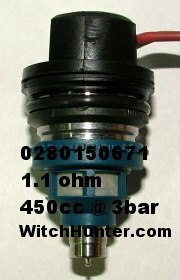 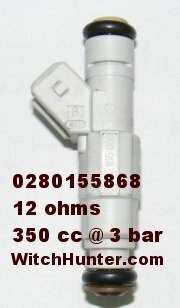 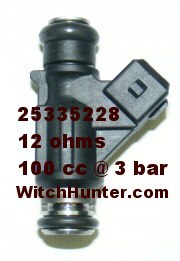 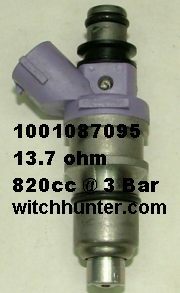 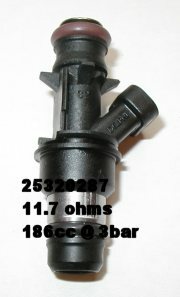 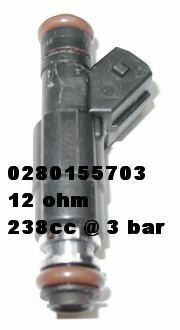 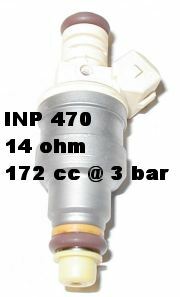 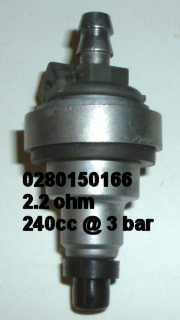 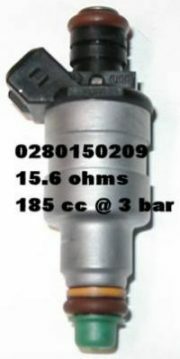 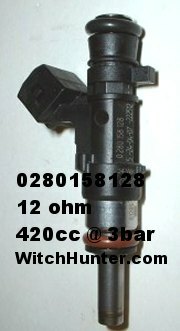 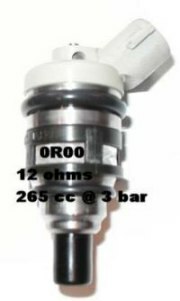 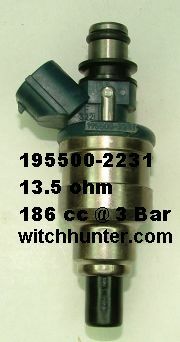 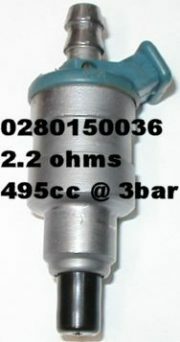 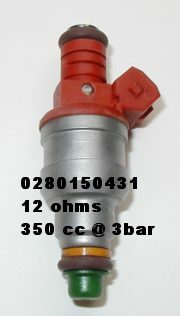 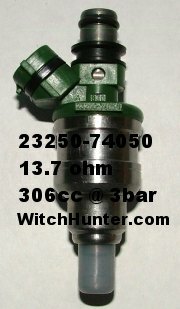 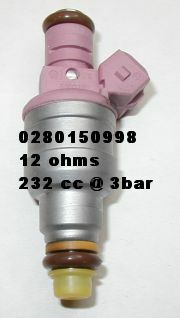 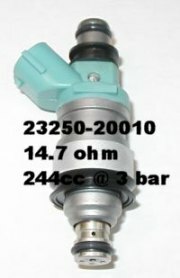 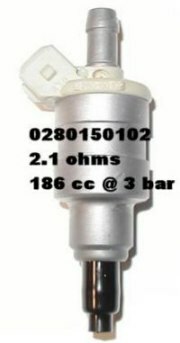 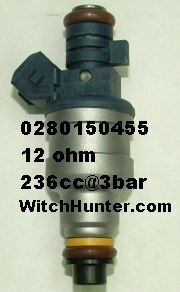 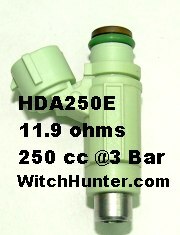 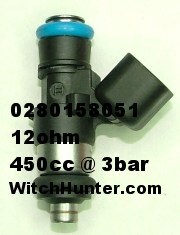 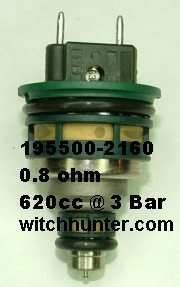 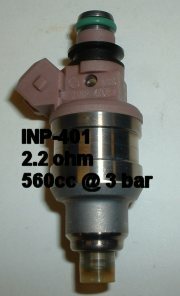 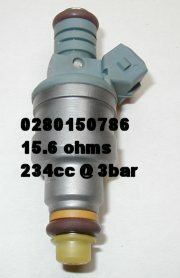 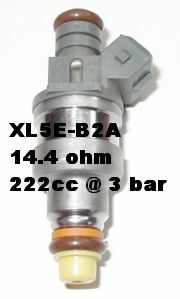 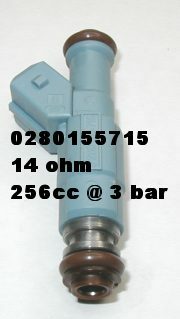 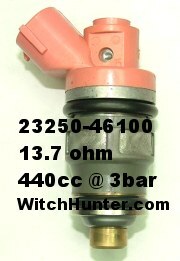 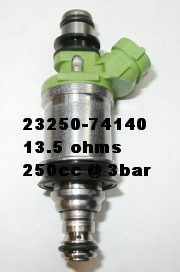 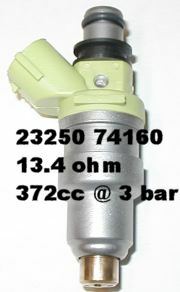 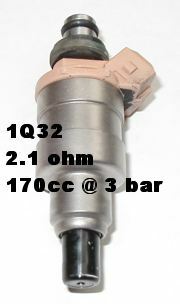 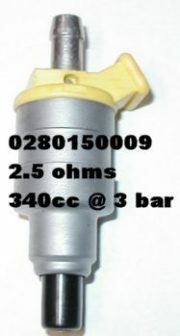 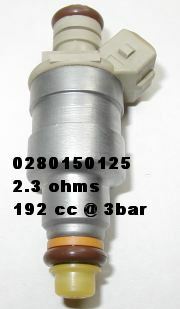 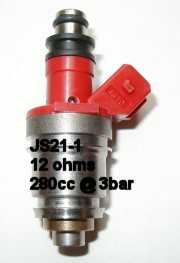 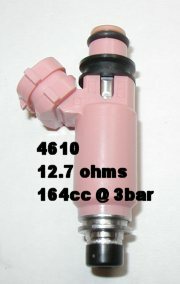 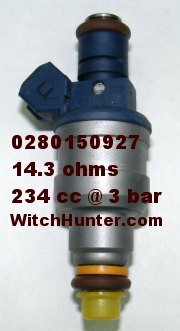 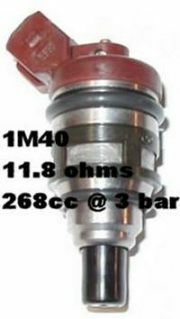 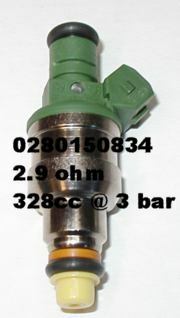 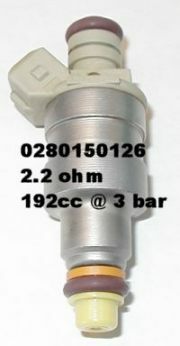 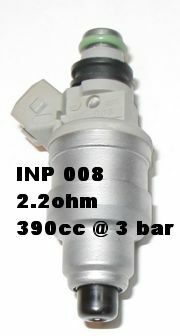 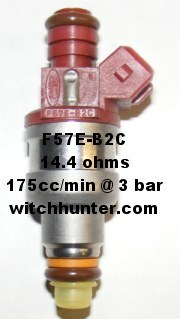 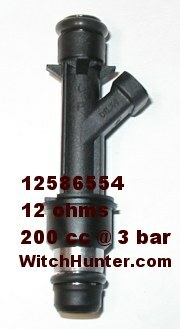 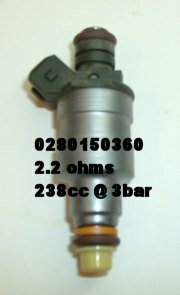 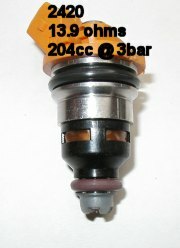 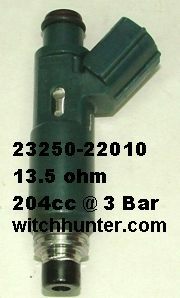 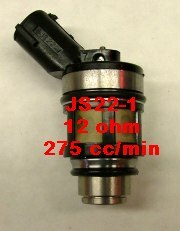 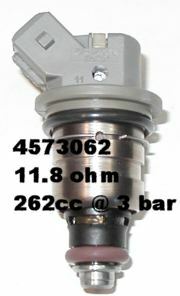 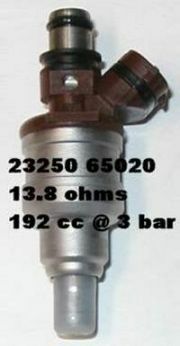 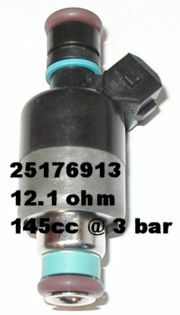 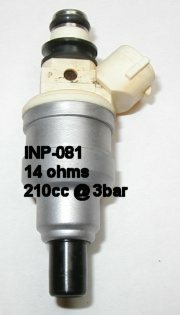 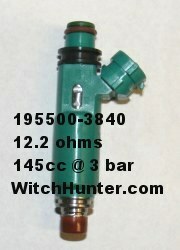 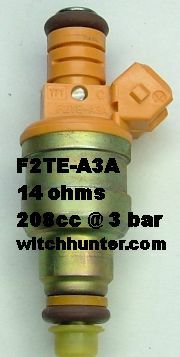 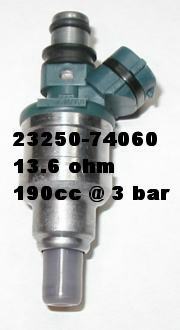 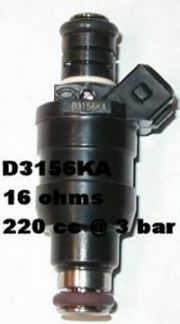 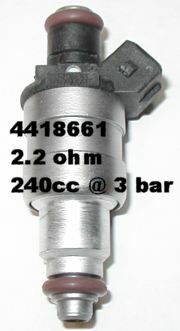 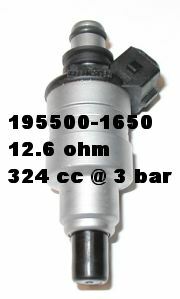 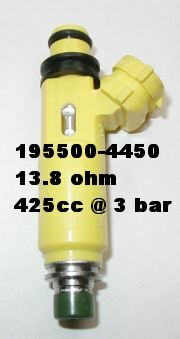 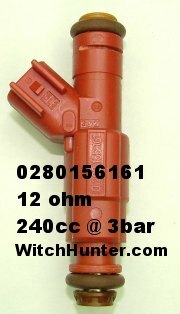 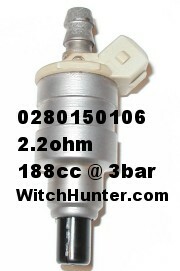 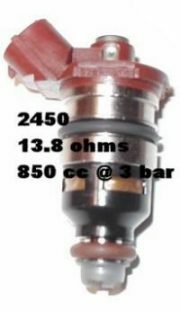 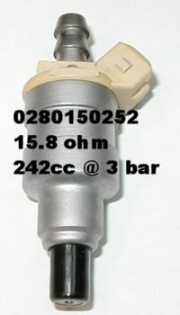 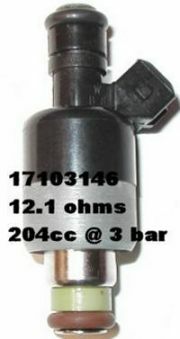 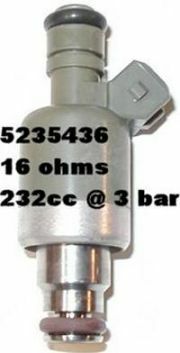 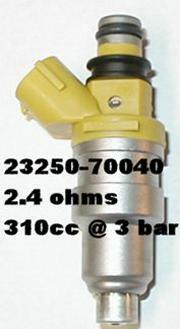 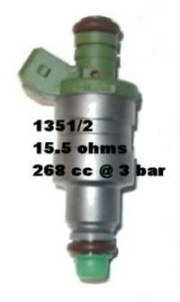 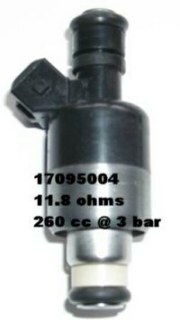 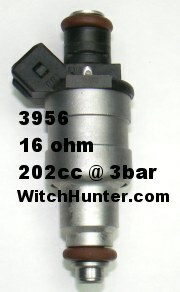 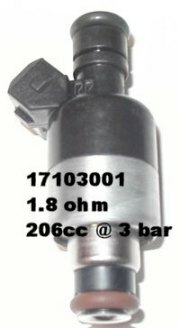 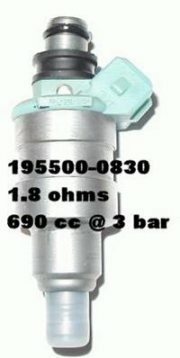 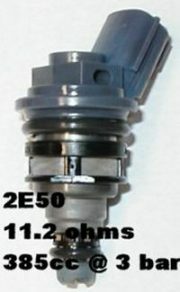 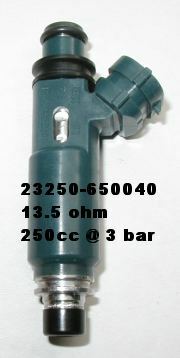 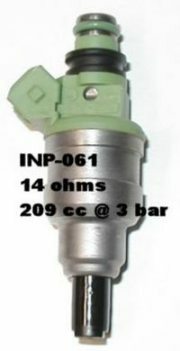 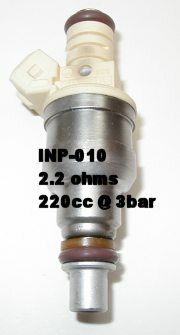 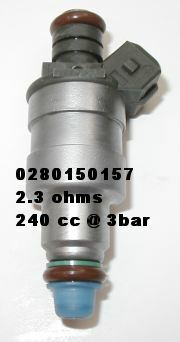 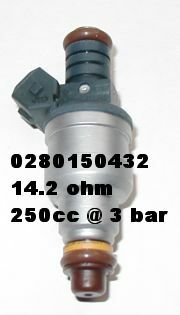 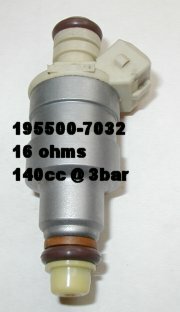 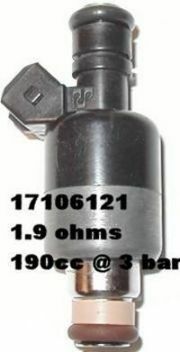 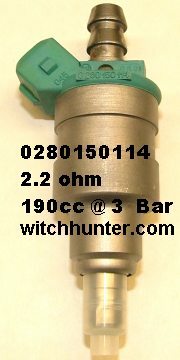 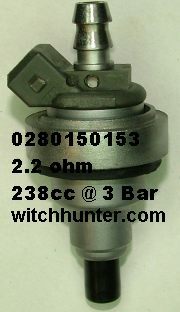 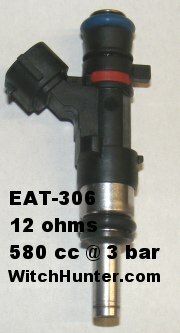 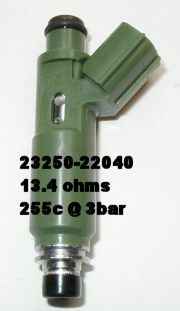 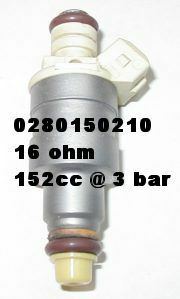 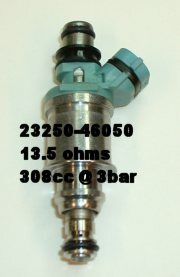 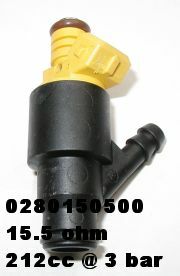 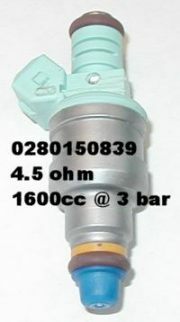 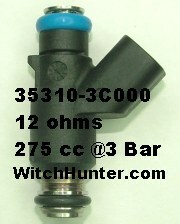 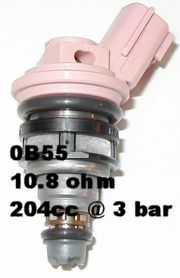 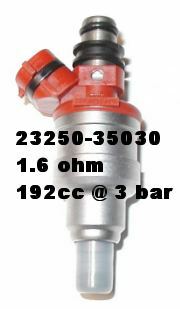 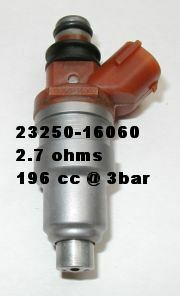 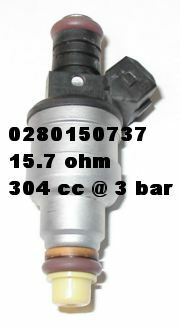 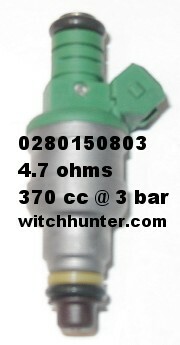 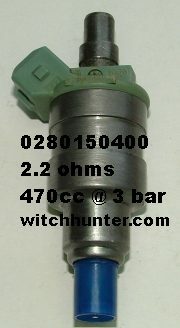 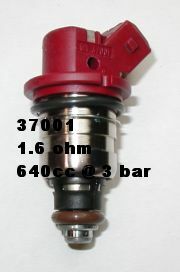 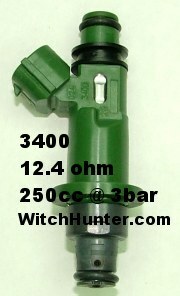 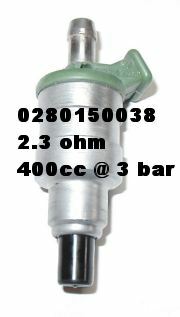 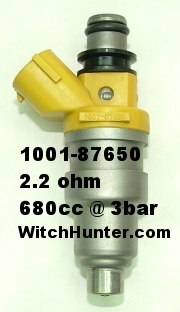 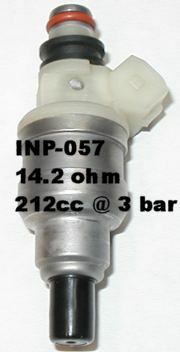 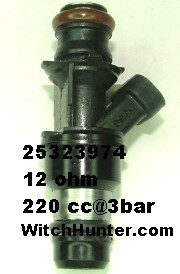 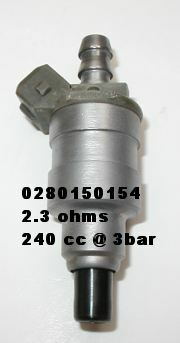 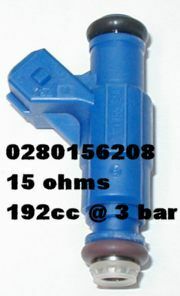 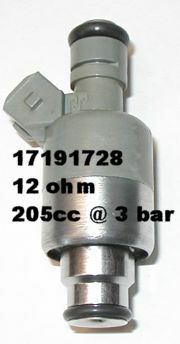 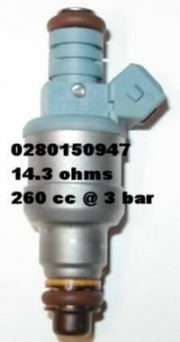 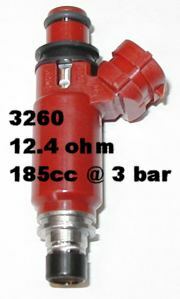 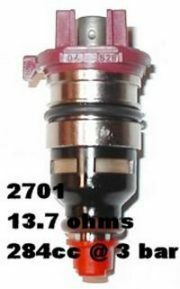 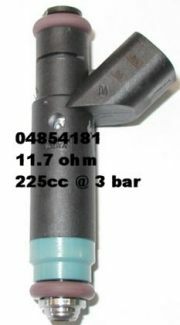 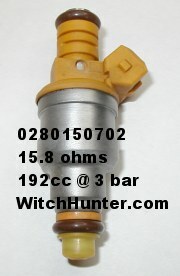 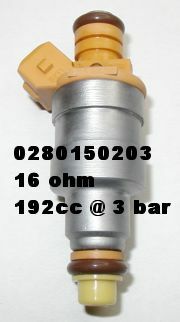 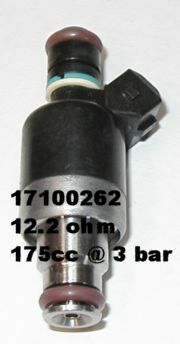 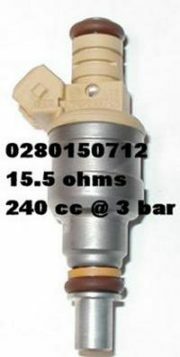 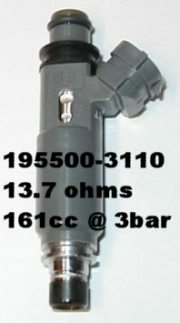 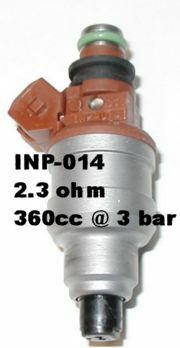 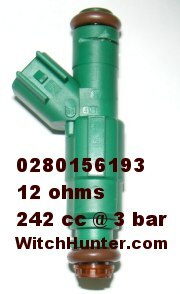 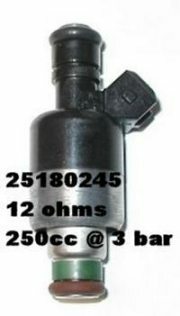 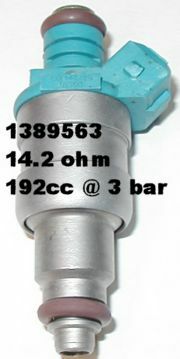 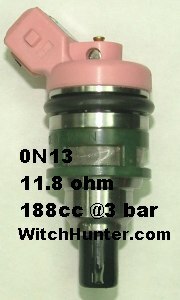 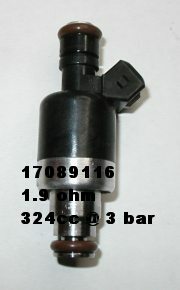 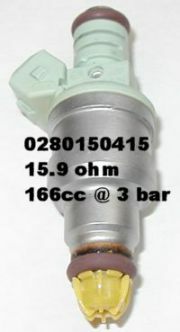 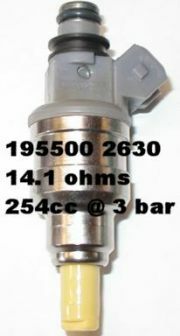 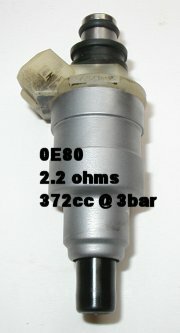 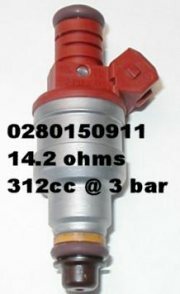 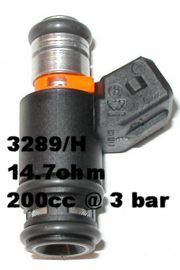 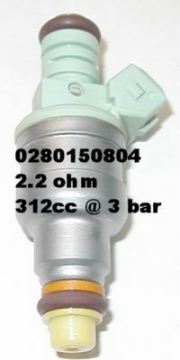 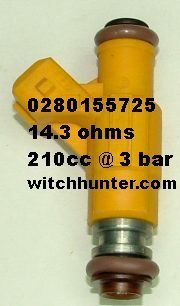 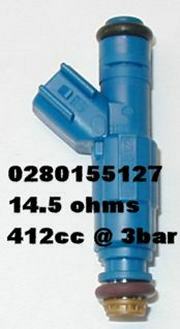 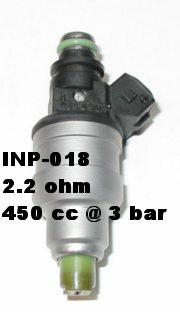 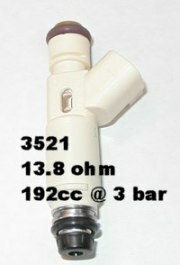 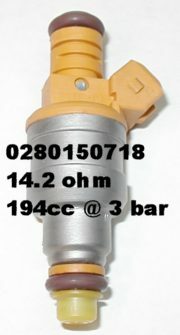 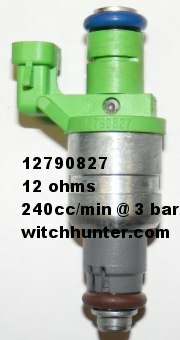 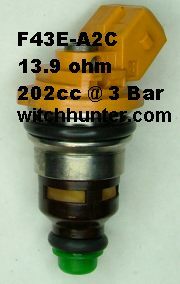 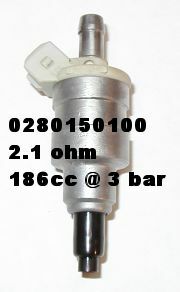 The injector information here is provided for your convenience, so feel free to link to this page. 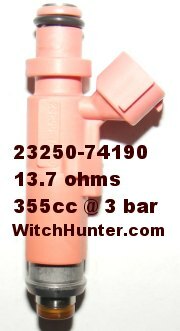 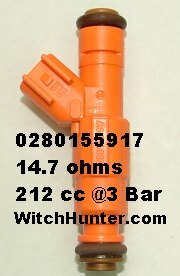 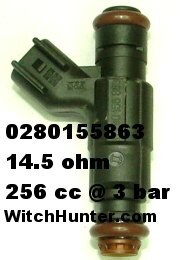 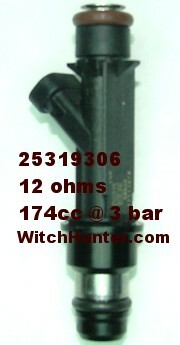 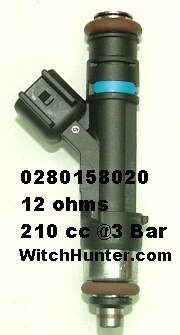 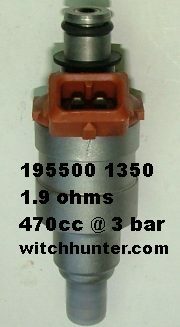 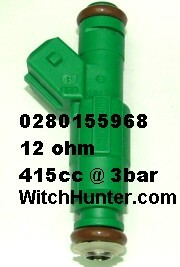 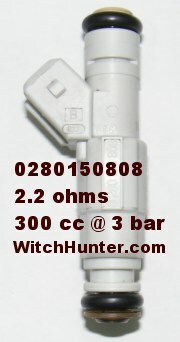 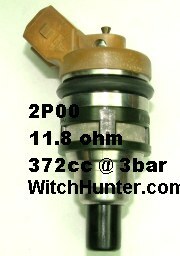 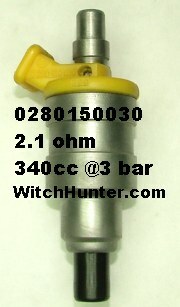 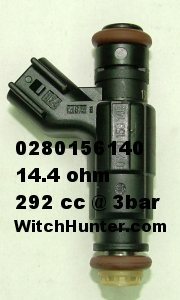 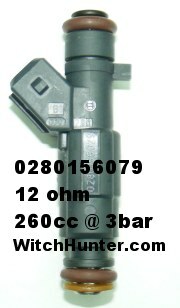 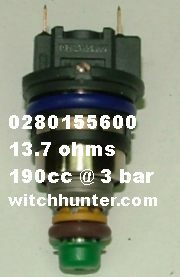 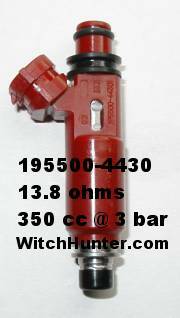 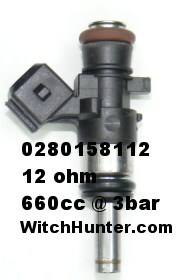 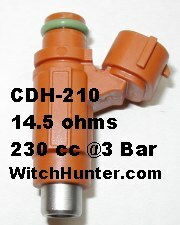 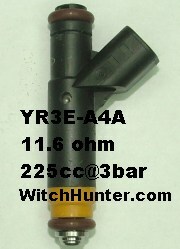 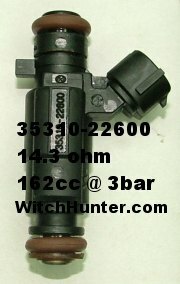 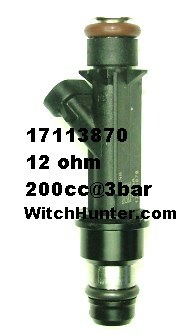 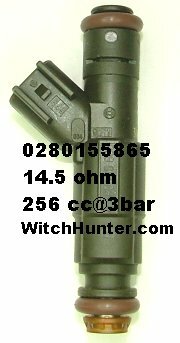 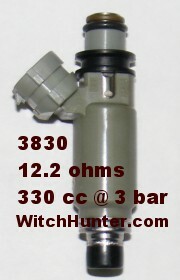 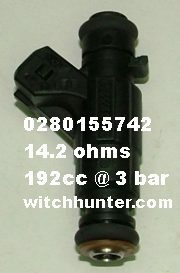 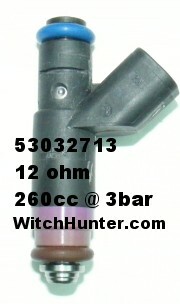 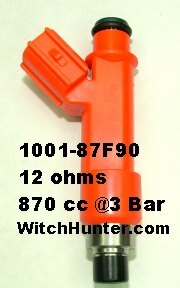 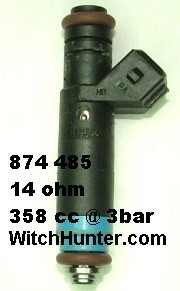 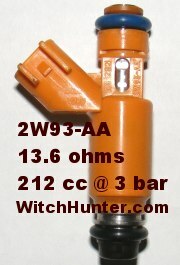 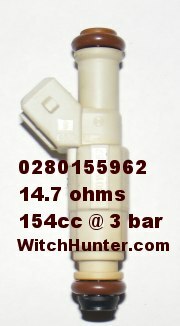 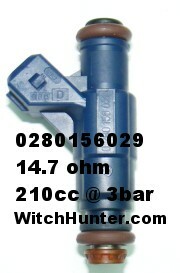 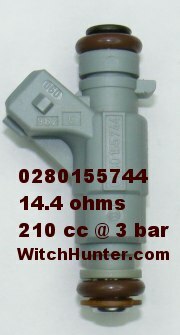 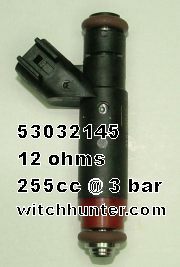 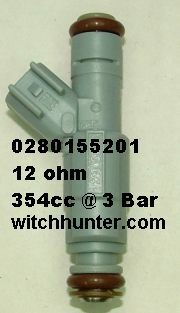 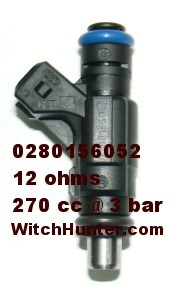 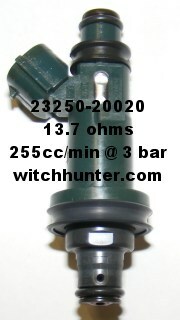 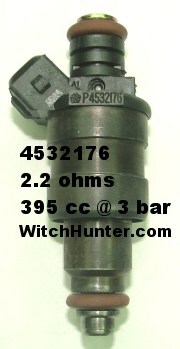 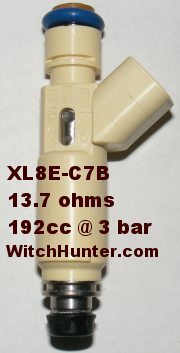 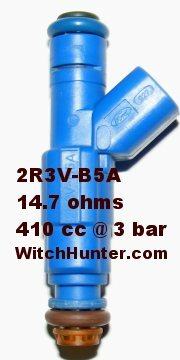 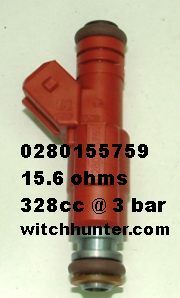 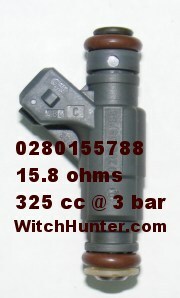 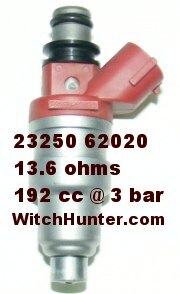 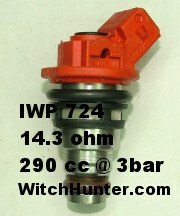 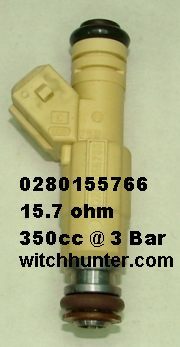 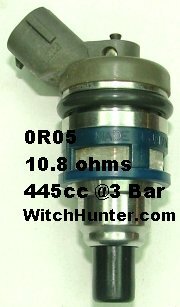 All images / test data are the property of WitchHunter Performance. 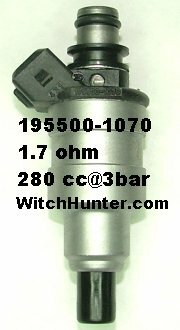 Copying or republishing any pictures or test data is not permitted without written authorization from WitchHunter Performance. 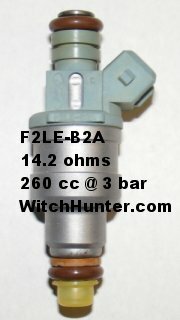 By accessing our data, you are agreeing to the above conditions. 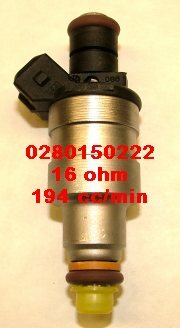 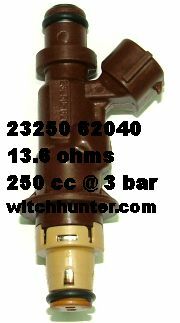 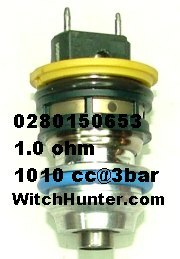 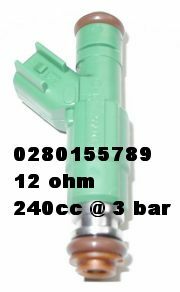 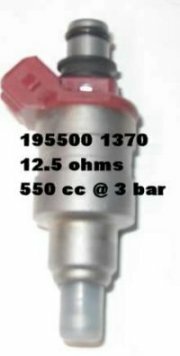 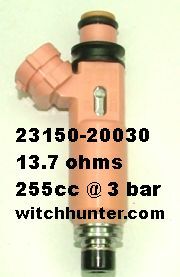 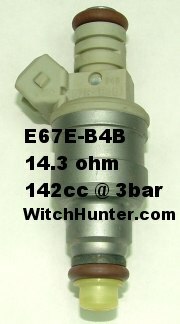 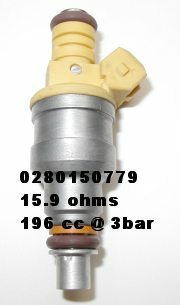 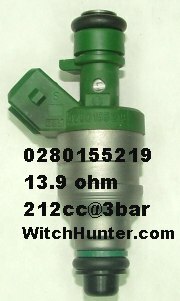 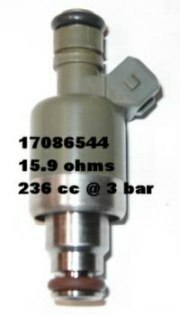 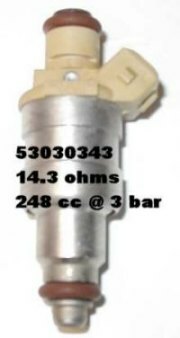 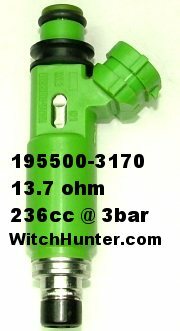 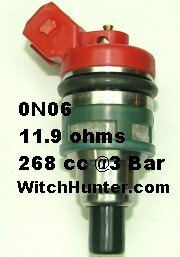 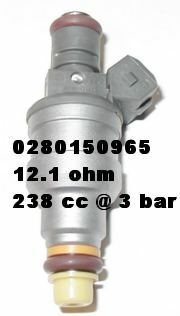 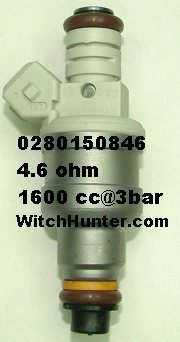 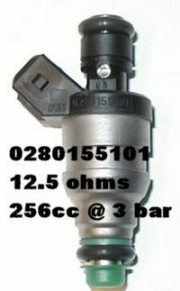 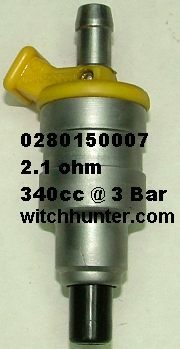 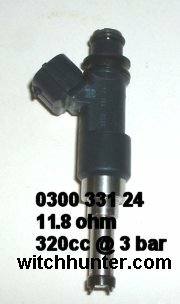 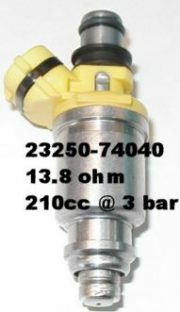 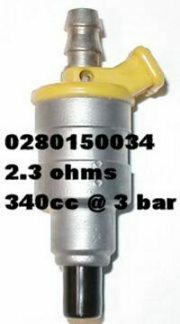 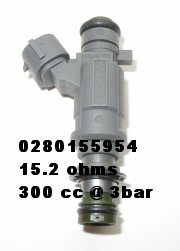 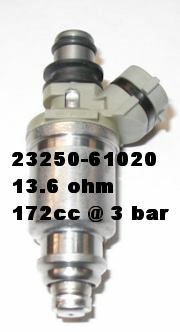 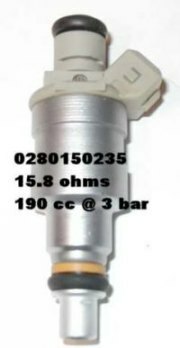 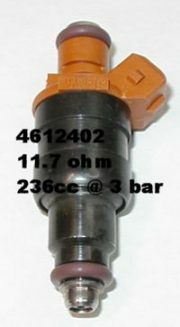 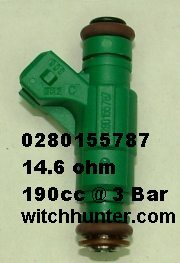 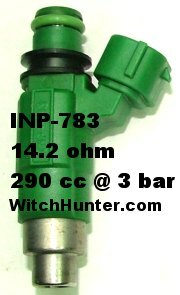 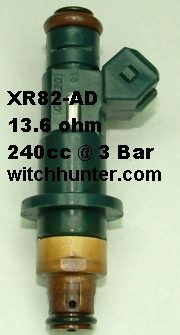 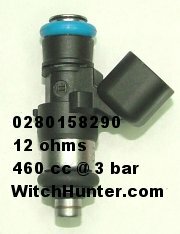 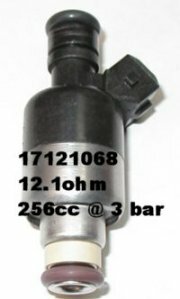 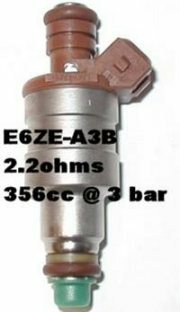 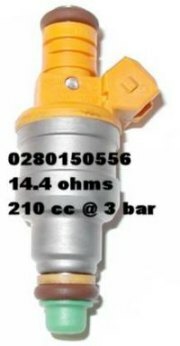 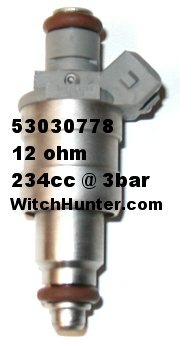 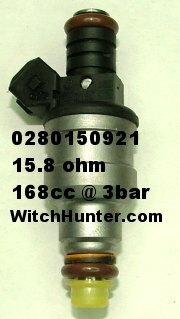 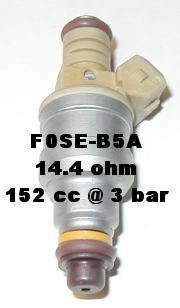 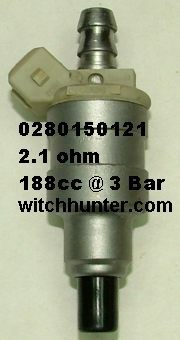 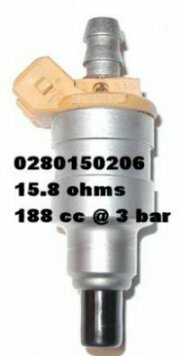 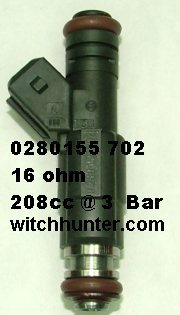 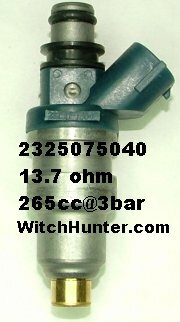 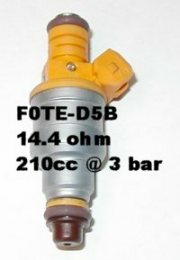 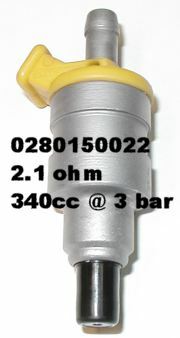 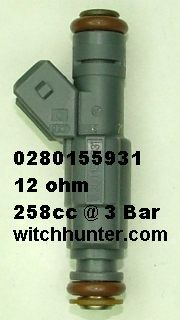 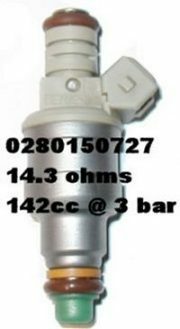 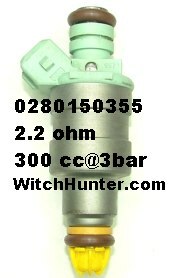 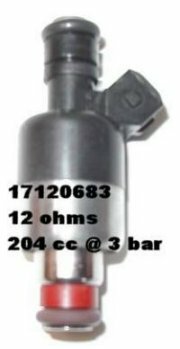 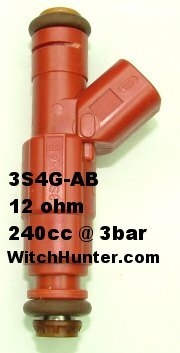 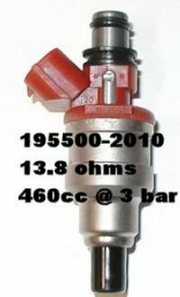 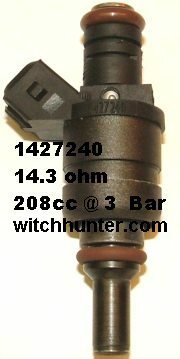 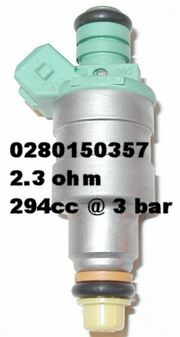 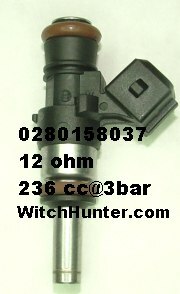 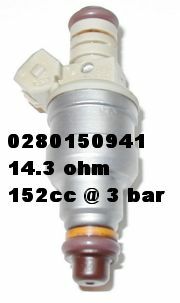 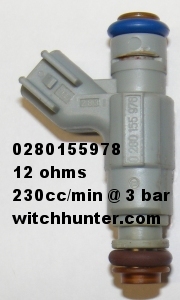 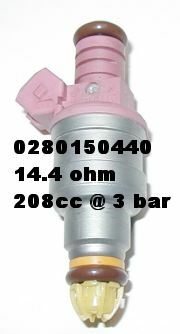 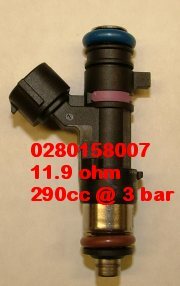 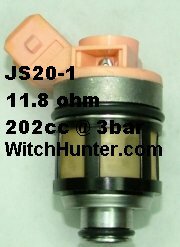 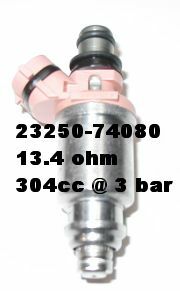 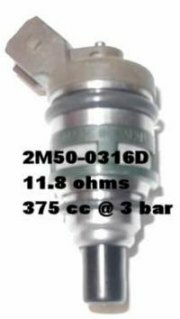 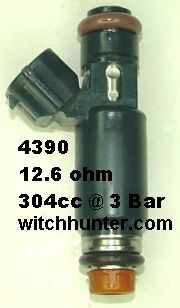 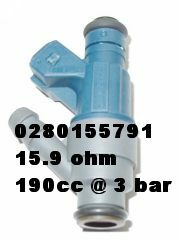 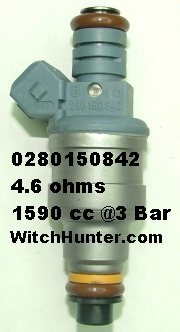 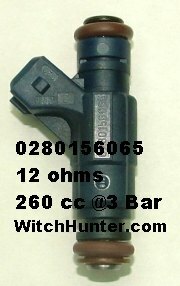 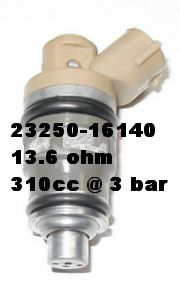 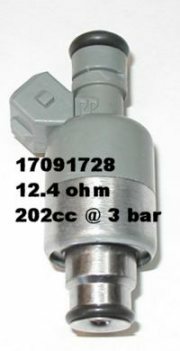 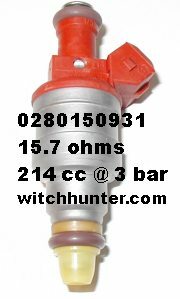 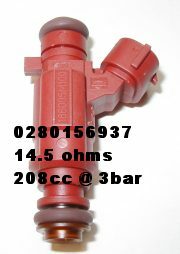 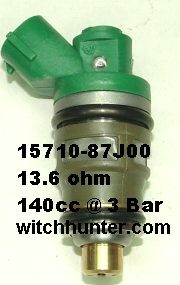 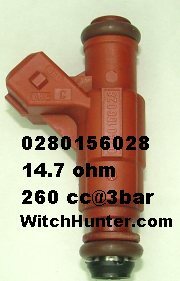 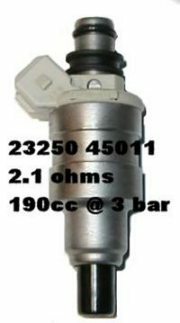 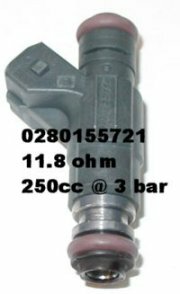 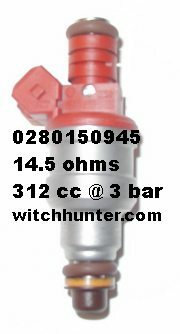 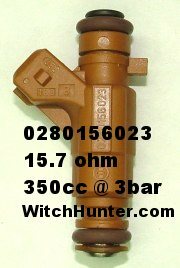 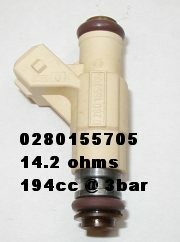 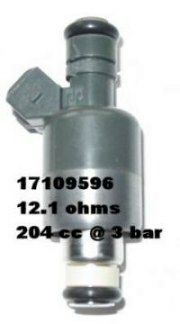 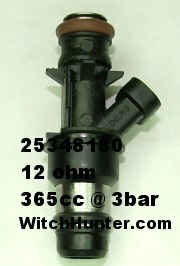 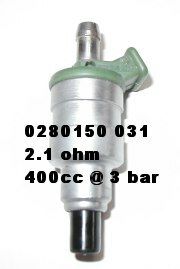 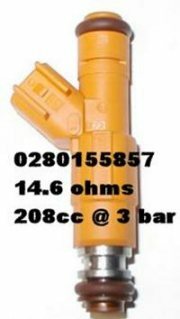 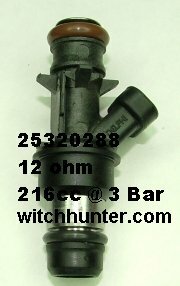 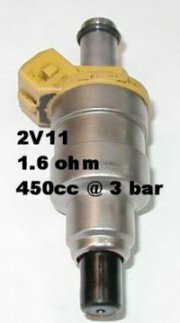 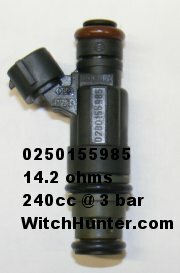 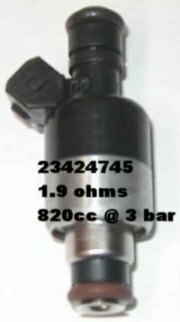 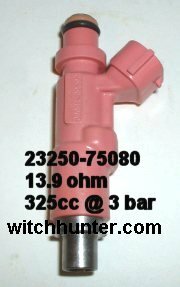 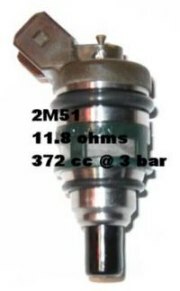 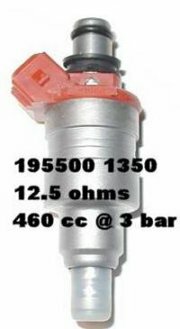 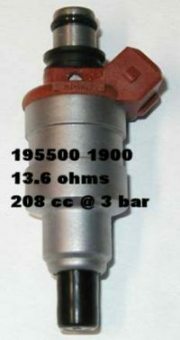 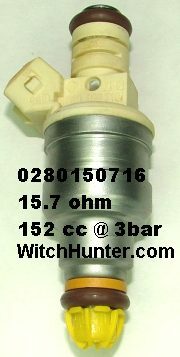 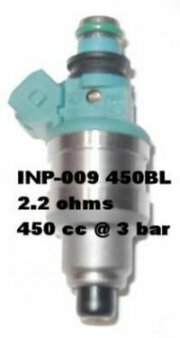 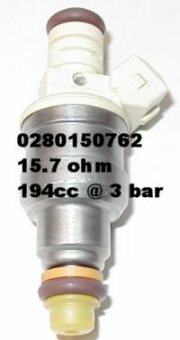 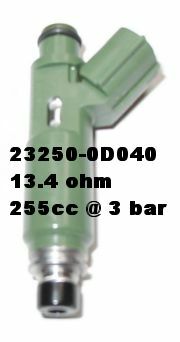 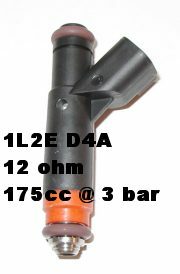 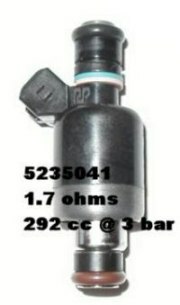 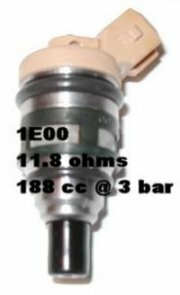 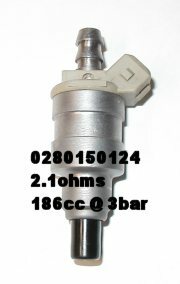 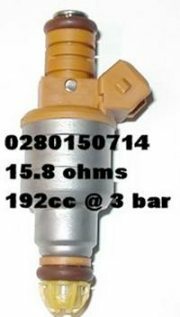 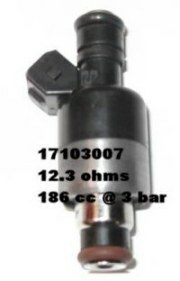 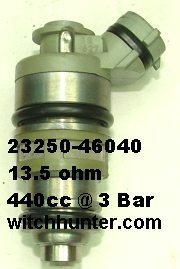 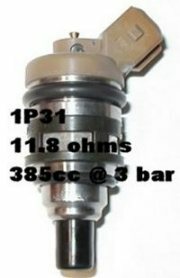 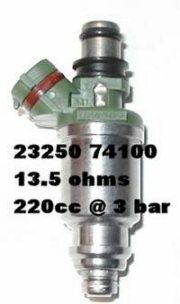 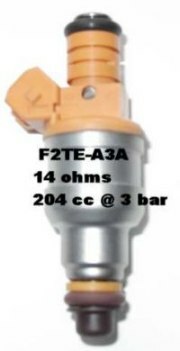 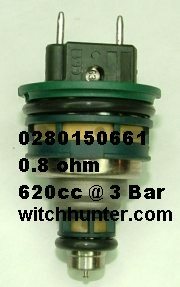 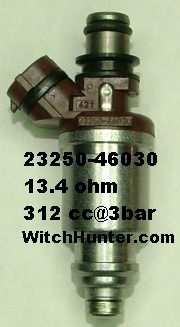 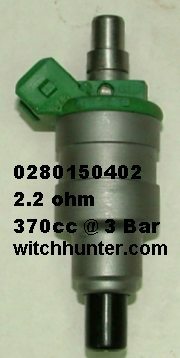 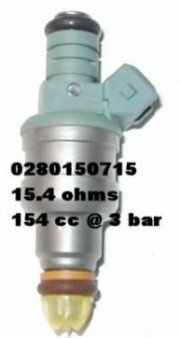 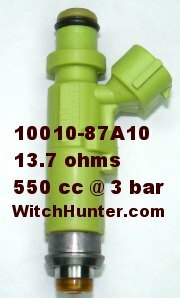 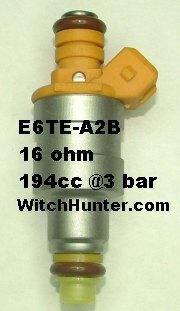 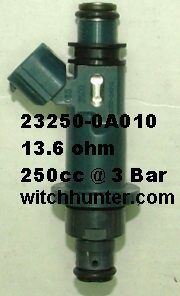 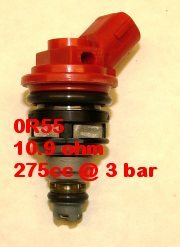 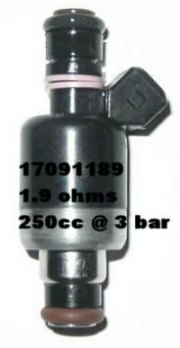 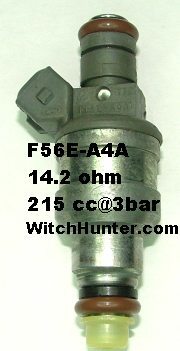 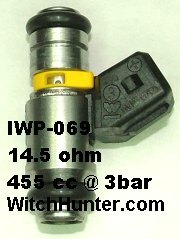 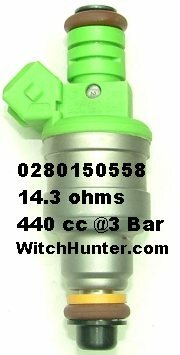 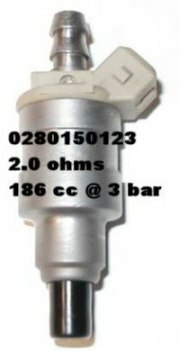 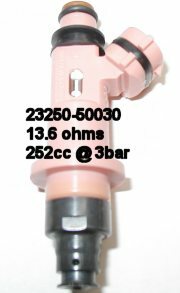 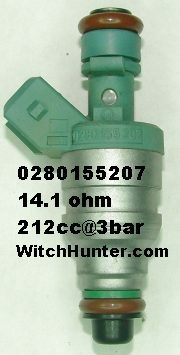 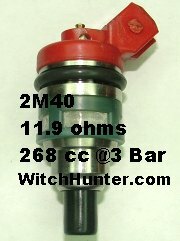 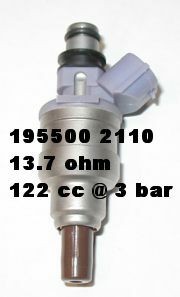 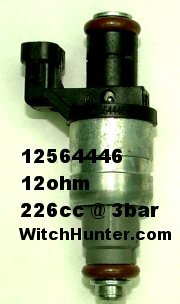 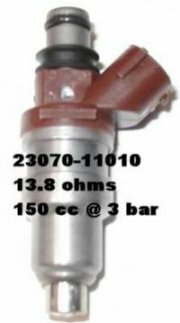 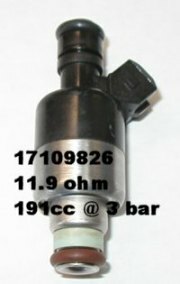 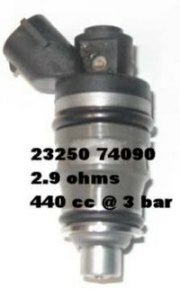 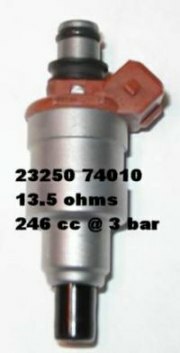 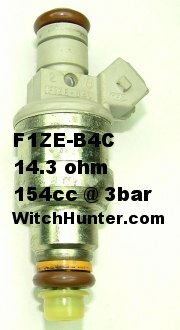 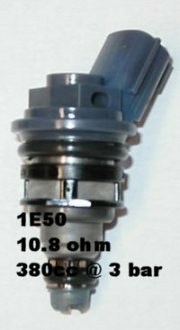 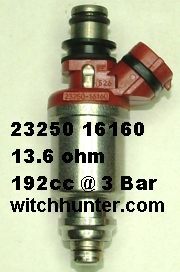 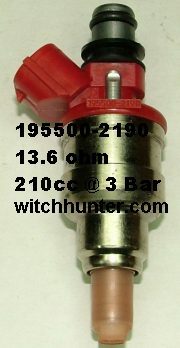 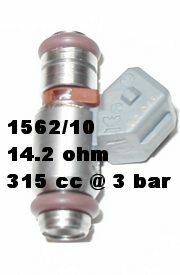 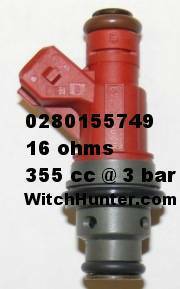 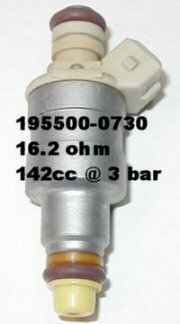 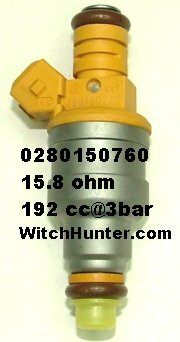 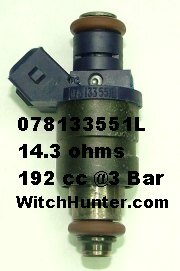 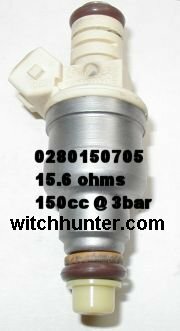 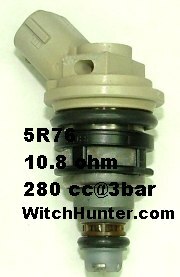 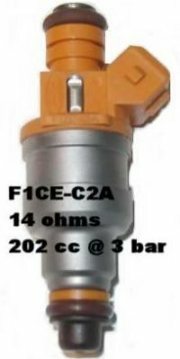 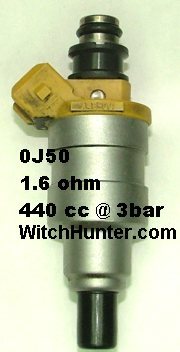 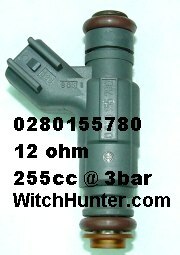 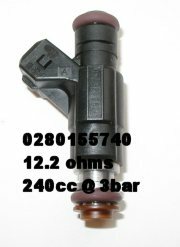 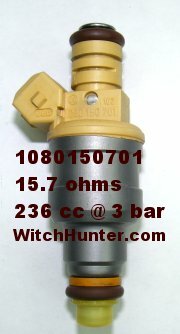 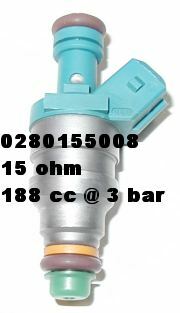 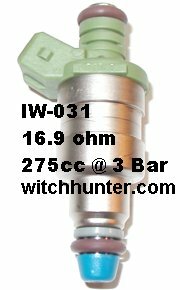 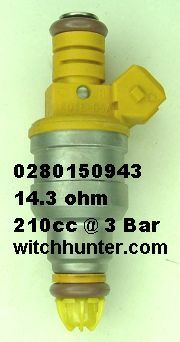 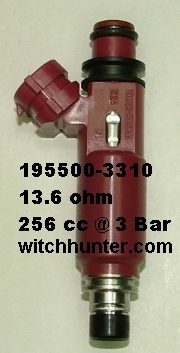 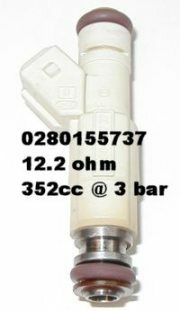 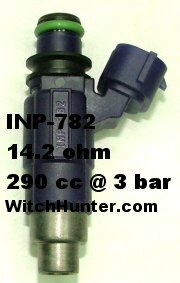 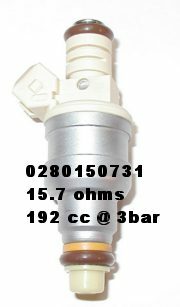 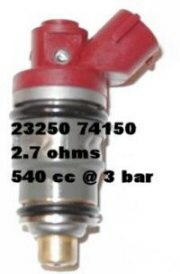 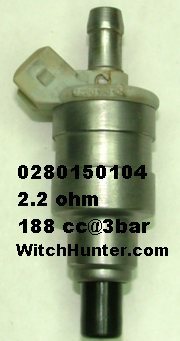 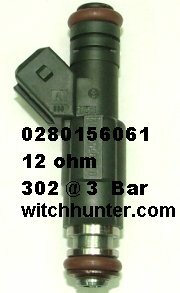 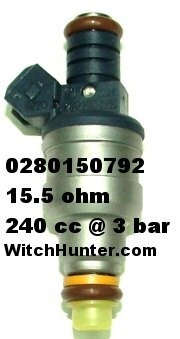 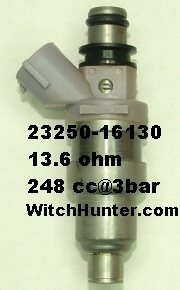 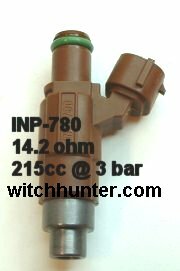 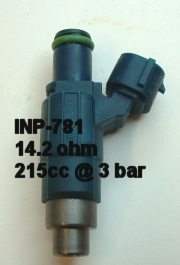 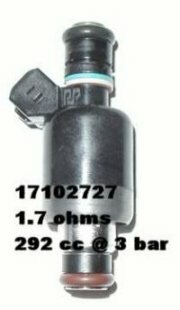 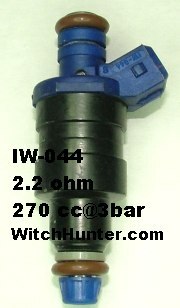 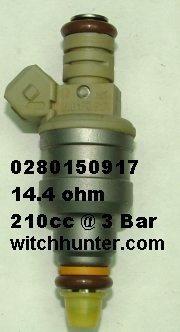 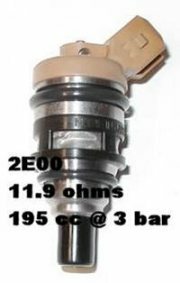 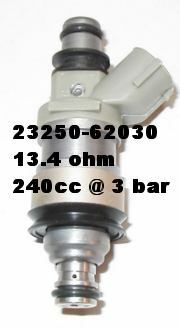 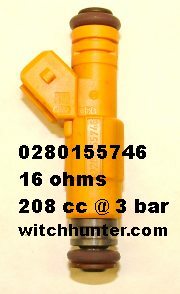 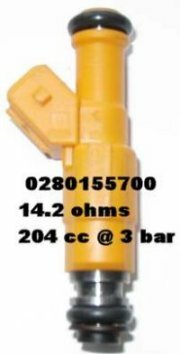 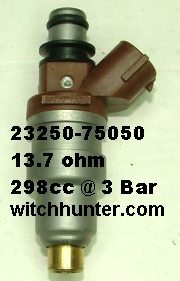 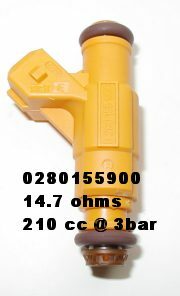 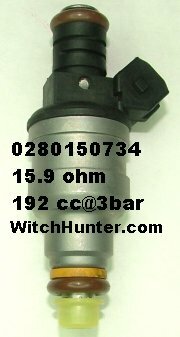 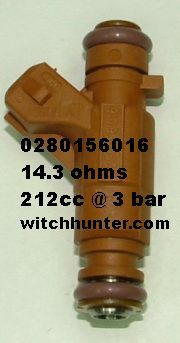 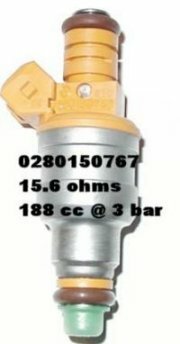 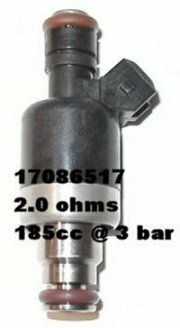 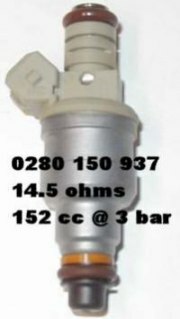 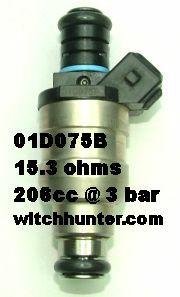 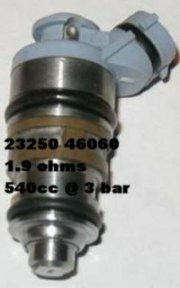 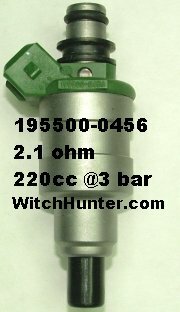 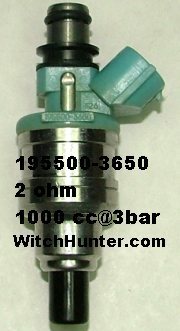 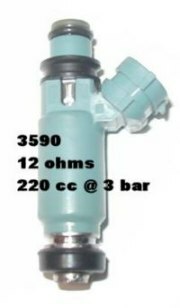 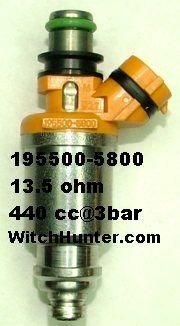 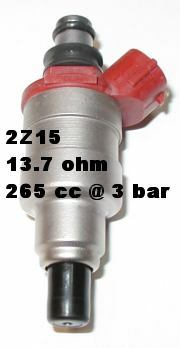 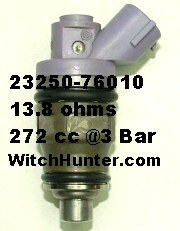 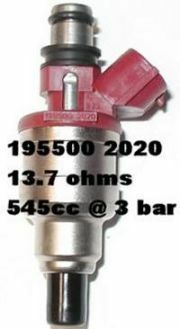 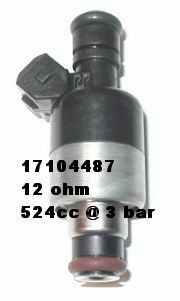 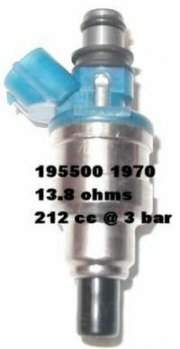 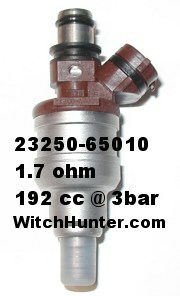 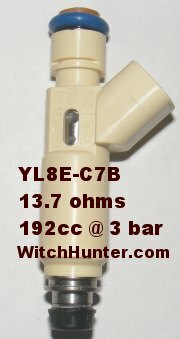 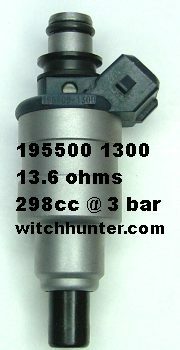 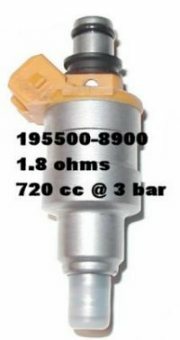 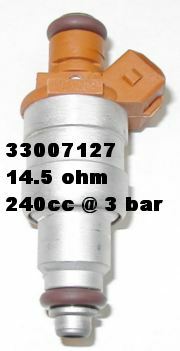 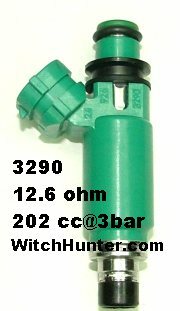 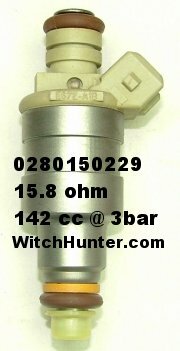 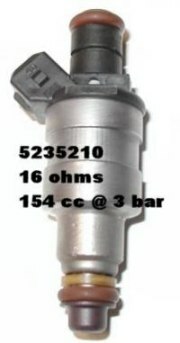 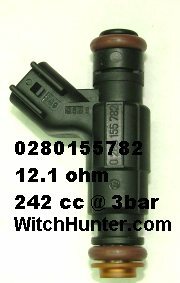 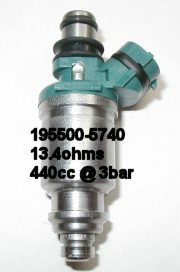 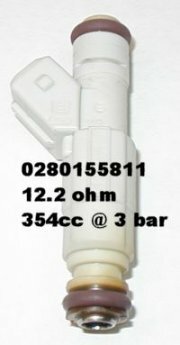 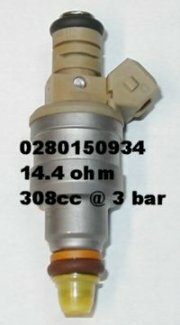 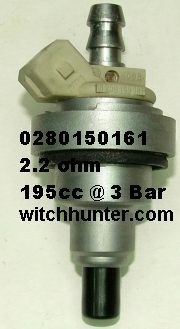 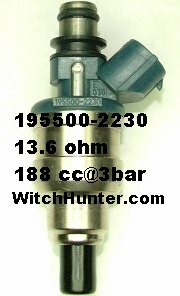 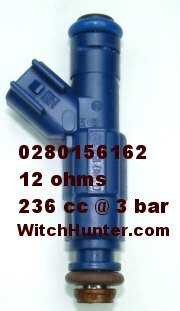 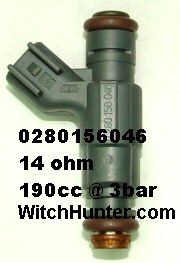 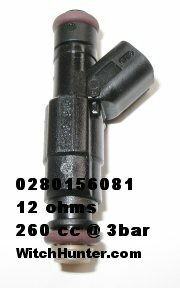 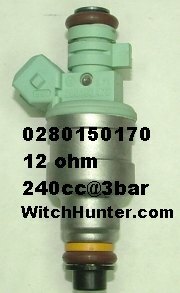 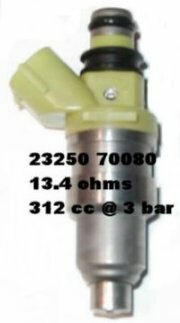 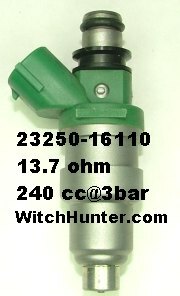 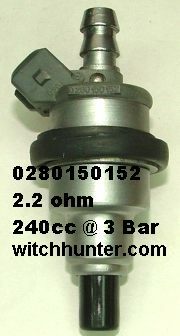 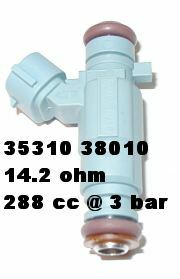 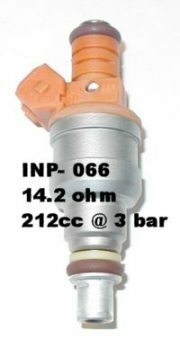 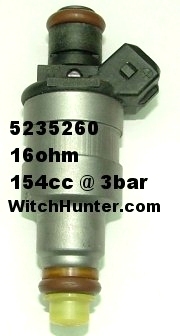 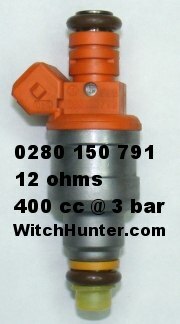 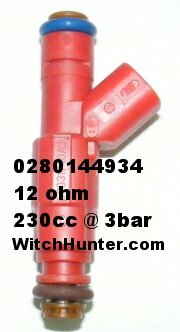 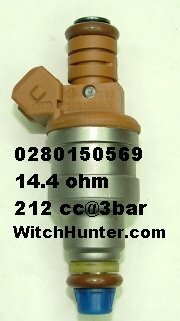 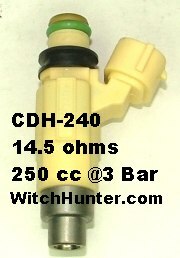 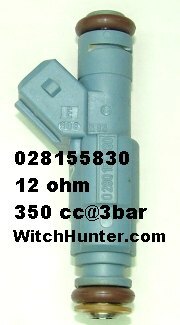 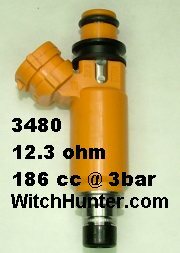 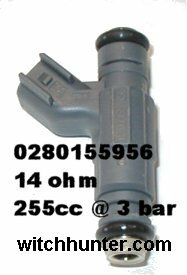 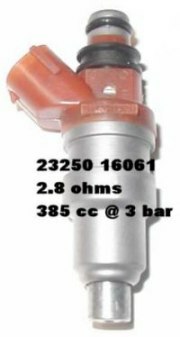 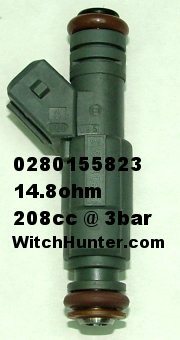 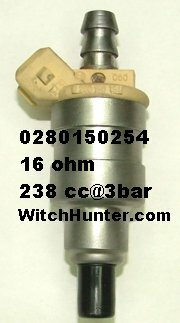 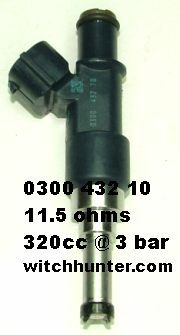 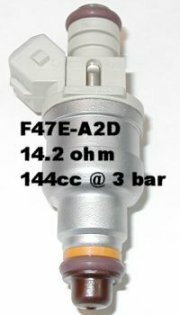 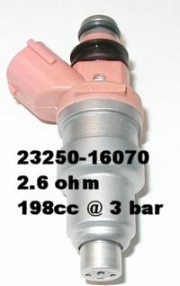 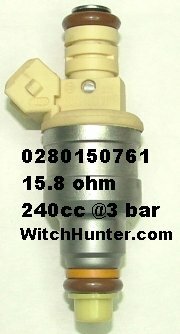 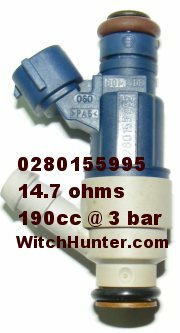 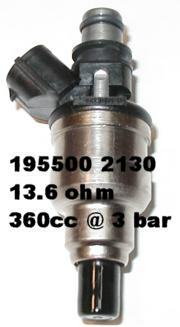 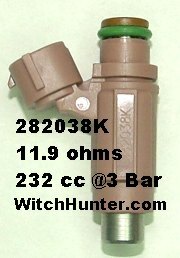 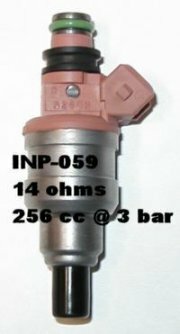 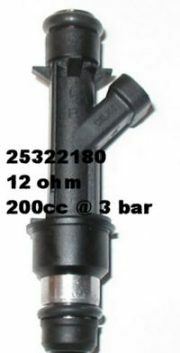 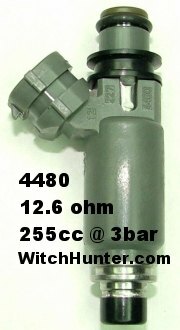 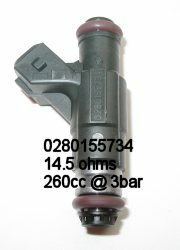 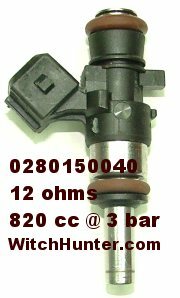 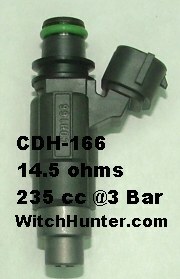 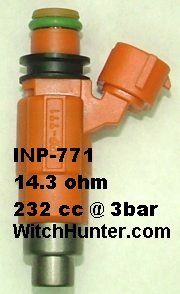 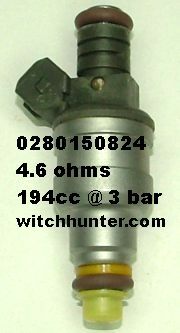 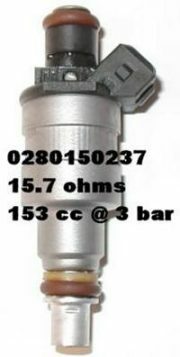 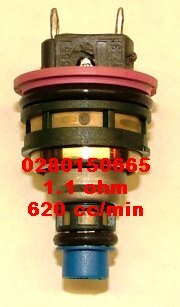 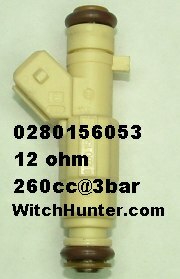 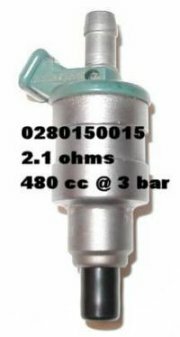 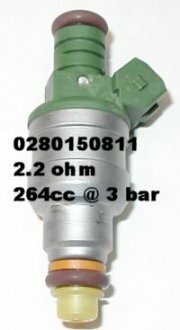 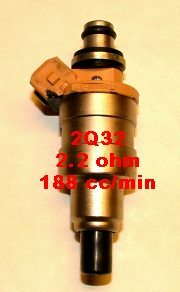 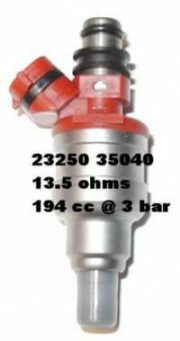 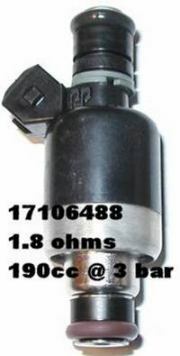 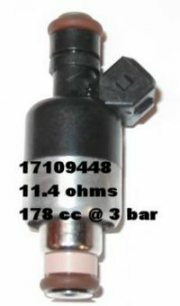 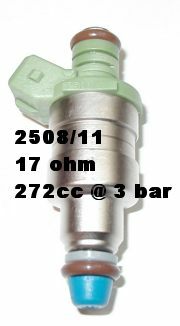 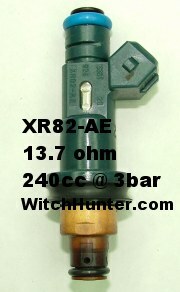 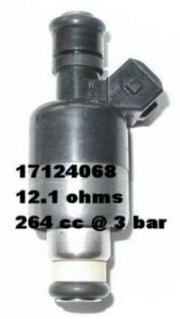 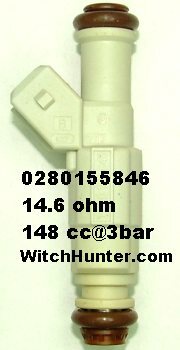 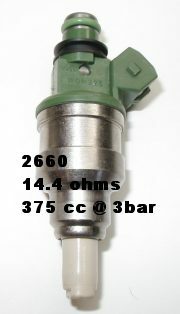 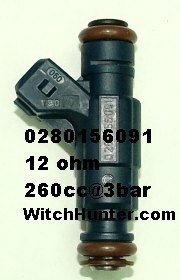 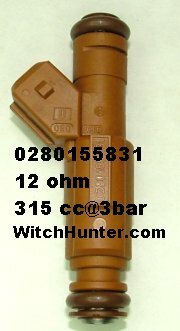 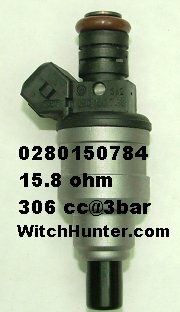 Click on the tab on the top for the injector type and then on the part number below for an injector picture & information. 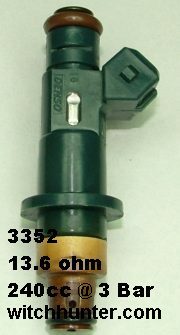 Click your Back button to return.